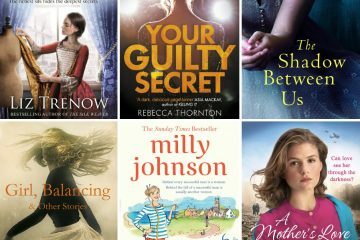 It’s time to push aside the ordinary TBR pile and reach for those Christmassy books full of snow, sparkle and heart-warming festive spirit. 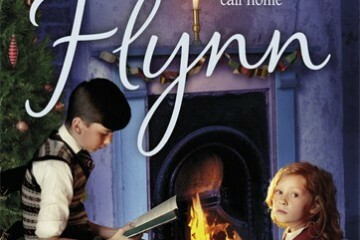 Here are 10 yuletide reads that will get you in the mood for the holiday season. 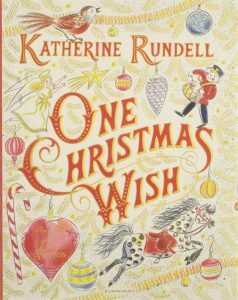 Blue Peter Book Award winner Katherine Rundell’s One Christmas Wish is a charming book to read with the little’uns. Beautifully illustrated by Emily Sutton, it tells the story of a young boy who wishes not to be alone. He’s magically granted his wish when four timeworn Christmas tree decorations come to life and together they go on a festive adventure. 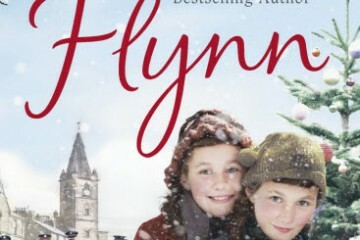 A sweet tale that has all the makings of a Christmas classic. The extended Christmas edition of Jeevani Charika’s A Royal Wedding is a modern fairy tale that’s perfect for anyone still suffering from a case of Megan and Harry fever. Kumari Senavaka is a doctor, humanitarian and feminist who is catapulted into the spotlight when she falls for England’s most eligible bachelor, Prince Benedict. Fun and uplifting, Charika’s contemporary romance will thaw even the coldest heart. 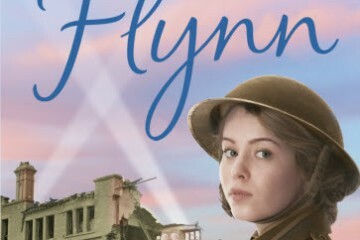 Venture back in time and take a trip to Liverpool in the late 1930’s with the latest historical romance from Katie Flynn. Fifteen-year-old Rosie’s world is uprooted when she’s forced to embark on a new life on a canal barge. Aboard The Kingfisher she meets Tim but the threat of WWII threatens to end their romance before it’s even begun. 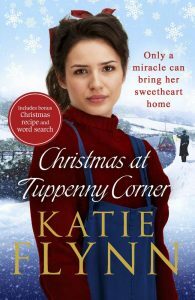 Christmas at Tuppenny Corner is another evocative wartime tale and it even has a festive recipe and word search at the back. 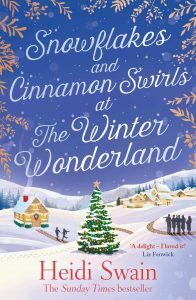 If you enjoyed Heidi Swain’s previous festive book, Snowflakes and Cinnamon Swirls should be at the very top of your seasonal TBR pile. After calling off her engagement, housekeeper Hayley moves into Wynthorpe Hall. She instantly becomes immersed in the eccentric Connelly family’s Winter Wonderland celebration and meets fellow new resident Gabe, who has his own reasons for steering clear of love. Grab a glass of mulled wine and enjoy this sparkling, snow-filled romance. 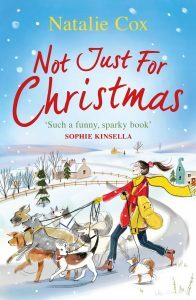 Featuring handsome love interests, a chocolate-box setting and plenty of awkward situations, Natalie Cox’s Not Just For Christmas is an entertaining festive treat. When newly single Charlie agrees to look after her cousin’s dog-care centre in Devon, her hope of a quiet, rural Christmas doesn’t exactly go to plan. To be enjoyed by a roaring log fire with a canine friend curled up by your feet. The tenth Nightingale nurses novel forgoes Douglas’s usual WWII setting in favour of a tale that takes place during the First World War. 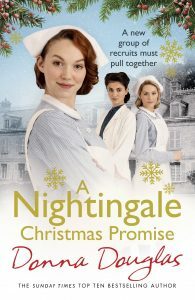 Set in London, 1914, A Nightingale Christmas Promise centres on the senior staff as they overcome the hardships of their training years at the hospital. 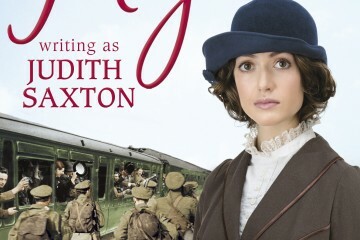 Another warm-hearted and realistic wartime story that will appeal to fans of Call the Midwife. 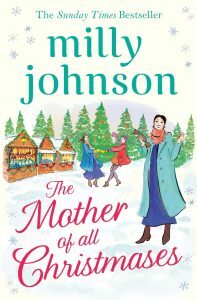 In her latest book, Milly Johnson invites readers into the lives of three women: Eve – co-owner of the Winterworld theme park; Annie, who owns a Christmas cracker factory, and Palma, a woman looking for a way out of the gutter. These women have one thing in common: they’re all pregnant. Through the ‘Christmas Pudding Club’, they come together to share all the ups and downs of pregnancy over the festive season. 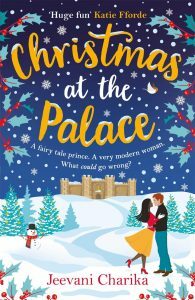 There’s romance, friendship, heartbreak and humour – all the ingredients for a cheery Christmas read. When Hannah loses the love of her life in a tragic accident her entire world implodes. Looking for a new start, she travels to North Cornwall where she has inherited her estranged grandmother’s old house. It’s amidst the Cornish countryside that Hannah meets her gruff new neighbour Raphael, who believes the house is rightfully his. 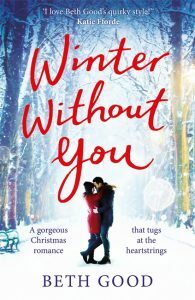 With a lovely bucolic setting and feel-good romance, Winter Without You is just the ticket for these long winter nights. 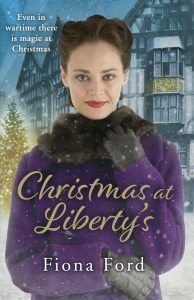 Set against the backdrop of the iconic London department store during the Blitz, Christmas at Liberty’s is the first title in a brand new series. With echoes of Mr. Selfridge, it follows Mary as she begins working as an assistant amongst the vibrant prints and sumptuous interiors of the fabric department. 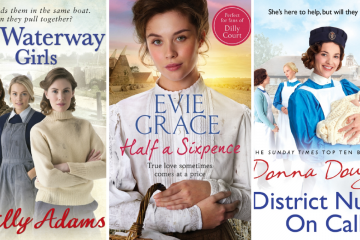 Perfect for fans of Daisy Styles and Elaine Everest. 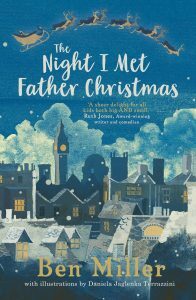 Actor and comedian Ben Miller’s magical festive story is a genuine delight for children and adults alike. On a very special Christmas Eve, Jackson meets Father Christmas and learns the untold story of a hard-bitten elf called Torvil, who discovers the meaning of life and how to love again. Bolstered by Daniela Jaglenka Terrazzini’s classical illustrations, if there’s just one festive book you decide to read over the Christmas season, make it this one.